McHone Industries produces electrically welded tubing for all of your metal tubing needs. All of our metal tubing is manufactured to ASTM-A513 specifications. What makes McHone Industries’ metal tubing capabilities right for you? One of the perks of working with McHone Industries is extreme customization at economical prices. We can manufacture metal tubing in standard lengths, or cut it to size using our automated Haven re-cut machine. Read our full list of capabilities here. We are also happy to work with our clients to engineer new and improved products, applications, and even entire manufacturing processes. Read our value engineering case study here. We are able to produce metal tubing in sizes over 2.500″. 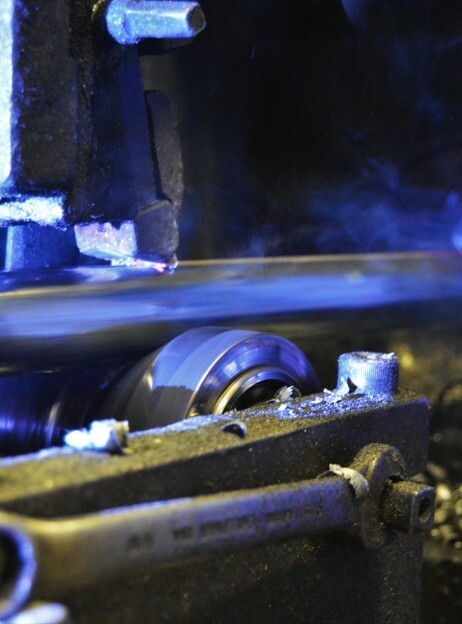 However, from 0.500″ to 2.500″ we can manufacture any shape you can possibly think of. McHone Industries also offers complete secondary services for metal tubing products. Only the highest quality tubing leaves our facilities. Each product adheres to strict guidelines regarding straightness, ovality, thickness, strength, etc. Any product that does not fit tolerances is recycled. Our clients use metal tubing in a huge range of applications: everything from solar panel mounts to garden tools to hospital beds. We are always looking for new and creative ways to apply our products – we are happy to work with fellow engineers to test our limitations! 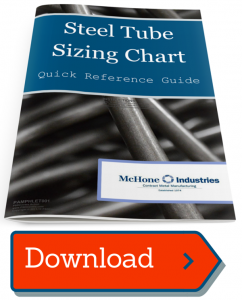 Click here to learn about galvanized tubing.